We enjoy the marvels of a wonderful tropical beach with a kayak tour and snorkelling in the waters of the Caribbean sea while babysitters entertain you children in the play area. We leave the port by coach and, after a short 30 minute journey, we board a motorboat for a brief panoramic tour. We then reach our dream-like destination - a marvellous white sandy beach with a lovely tropical background of palm trees and mangroves overlooking the ocean and the Little French Key resort. We enjoy our free time savouring the tranquillity and going for a dip in the crystal-clear waters of the bay, lulled by the tropical music from the bar. 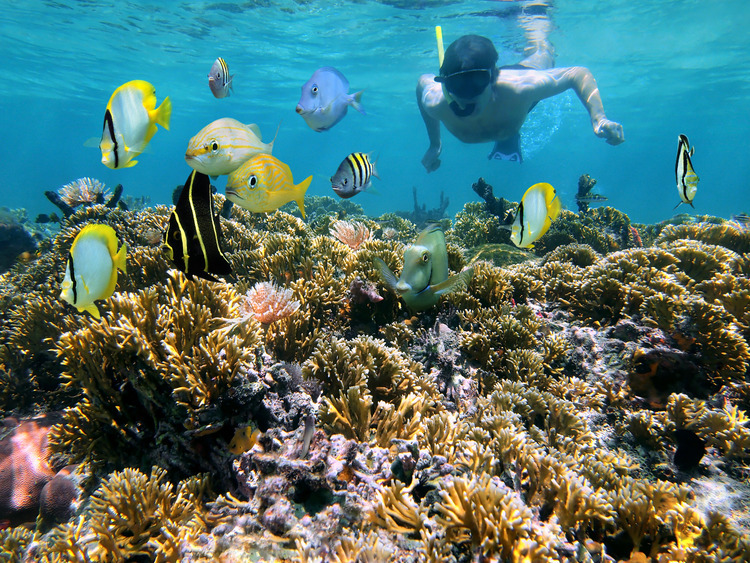 Those who wish to can enjoy a guided kayak tour and an adventurous snorkelling session. The kayak sails goes around two amazing islets surrounded by picturesque scenery and lush mangroves. The excursion is perfect for those travelling with children as there is an excellent babysitting service in the special play area. Snacks are available on the beach.